The style of writing is made for young adults. It has a slightly NSFW feel to it at times but it not overboard and it is rather controlled. Only really used to describe or give a character a more realistic feel or thought process in certain situations. The book would not be suited for a younger audience making this reading material a pg-13 book. The book contains gory descriptions during battles amongst the warring factions in the book, More on that later. If you have a weak stomach, I would advise you read at your own discretion. The setting is based on postmodern Earth 20 years into the future in fact. Earth has been ravaged by the 20-year war leaving death and destruction over the better part of the Earth. For the better part of the book, The United States and London are the main areas you see. Though it is 20 years into the future technology has made little advancement. The War between vampires and humans starts after the discovery of vampires being real. When they were discovered humanity started to attack their nests and any infected with the vampire virus. Vampires in this book can only be killed by cutting the head off and the destruction of the heart in which they will burst to ashes. This strength caused humanity to slowly dwindle has vampires were hard to fight. The vampires main weakness was sunlight. This gave humans time to rest and recuperate during fights. after 20 years of war, most of the world is controlled by vampires leaving humanity with very little territory. The characters in the book are well described and unique. They all are different in many ways. allowing for an easy way to tell them apart. They are also described very well allowing the reader to visualize them easily. They all face their own problems and issues but at the same time face the same ones as well. This allowed the author to form bonds in a different way or break bonds. This also allowed for individual development amongst the characters to be different. This book gets a 5 out of 5 from me. It was very hard to put down and kept my attention very well. 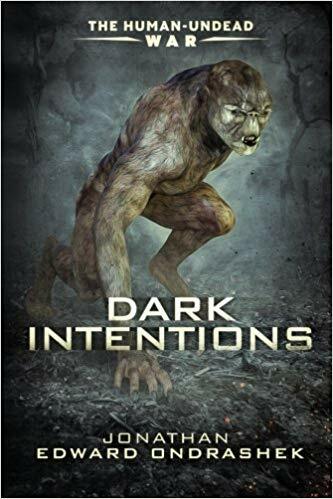 So if anyone wants a good vampire book I highly suggest Dark Intentions. 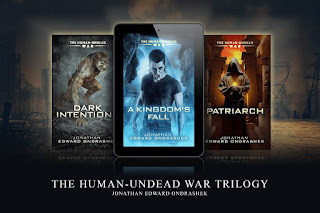 I am looking forward to reading book two in the Human-Undead War Trilogy titled Patriarch, so stay tuned for that review! If you would like your own copy of this book, and the others in the trilogy, simply click the image above! Notes and Nerds does NOT receive any commissions or payments for this review, or the purchase of said books. 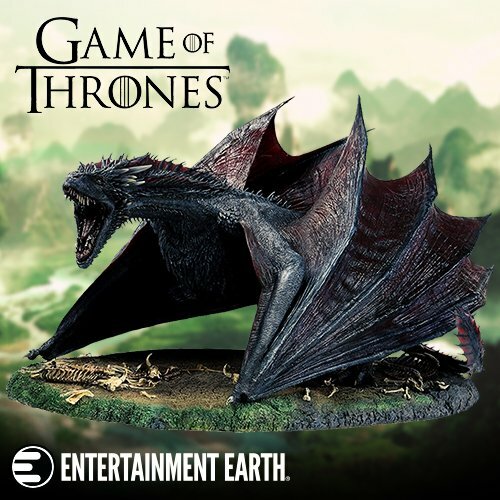 This review was written by Adrian Schuetz. Adrian is an avid reader that enjoys a wide assortment of titles, and genres.